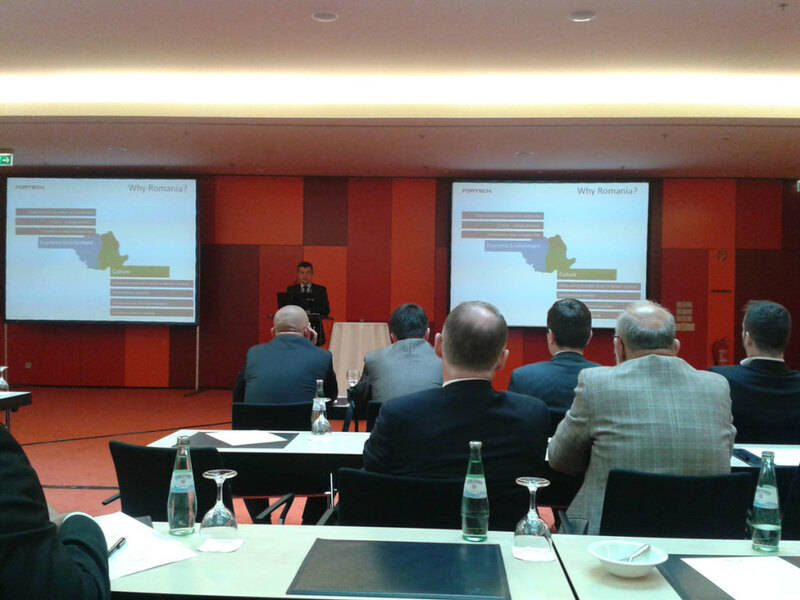 Fortech attended the ITO&BPO Germany 2014 forum, where Calin Vaduva, the company’s CEO, made a presentation entitled “Outsourcing to Romania – foundations for a reliable partnership”. Mr. Vaduva’s presentation provided valuable insights into the outsourcing phenomenon, focusing on the following issues: Romania as a destination for IT outsourcing, what to expect from an outsourcing partnership and good outsourcing practices and recommendations. The participants followed the ideas with great interest, as it provided answers to many important questions they might have had about the outsourcing phenomenon. The ITO&BPO Germany forum is an international event for the ITO and BPO industry that analyzes the onshoring and offshoring phenomena in Germany, focusing on solutions that would optimize the existing approaches and models. Industry best practices, the available destinations for outsourcing and business models made the object of the presentations, which were held by industry experts from Europe and Africa. The event attracted specialists from almost 20 countries, of which we mention Belarus, Bulgaria, China, Germany, India, Kosovo, Macedonia, the Philippines, Poland, Portugal, Romania, Switzerland, Tunisia, UK and Ukraine. The informal evening reception that followed the presentation proved an excellent opportunity for networking, enabling us to establish contact with over 20 companies and independent consultants. We look forward to attending the following edition, which we expect to attract an even larger audience than the 2014 event.